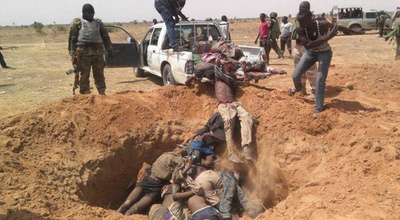 In December 2015, a horrible allegation emerged from the Nigerian northern city of Zaria that the country’s military had massacred more than 300 people belonging to the Shia faction in the country. Shia is a sect in Islam. Iran has the majority of Shia Muslims in the world. The country therefore serves as the headquarters for the group. 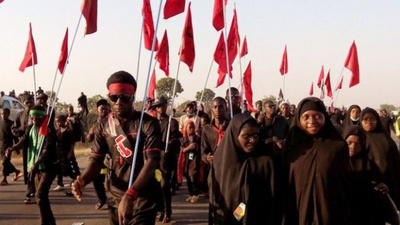 In Nigeria, Shia Muslims make up the minority of the Muslim population, but their numbers are increasing at a faster rate and are known as the Islamic Movement of Nigeria (IMN). The IMN is backed by the Shia-dominated Iran and members of the group often go Iran to study. The group came into prominence in Nigeria in the 1980s. Sunni Muslims dominate in Nigeria. The Boko Sunnis Haram militants have said in the past that the Shias are heretics, and should be killed. Human Rights Watch (HRW) alleged that the Nigerian military killed the IMN members in an unjustified attack, quickly burying the bodies in a mass grave without the permission of their family members. The military strongly denied the allegation. Army spokesman, Brig General Rabe Abubakar told the BBC African Service then that the army did not killed anyone, and that the IMN had tried to assassinate the head of the army, Gen Tukur Buratai. He said Gen Buratai was passing through Zaria when the group blocked his convoy, leading to a confrontation between the group and the army, but nobody died. But HRW stood by its grounds, saying that it has evidence to substantiate the allegation. The rights group said the army had not given the true account of the incident, calling for an independent judicial investigation into the incident. The IMN also said the military had destroyed its religious shrine and the home of its leader, Sheikh Ibraheem Zakzaky, during the attack which claimed more than 300 of its members. The Iranian government called the Nigerian government on the incident, urging for a thorough investigation into the incident. But for almost four months now, the incident is still hanging. Tension is therefore mounting in some northern cities, where IMN member are living. On Monday, April 11 2016, protests broke out in five major northern cities across Nigeria after an inquiry established that the military killed some members of the IMN. Iran’s President, Hassan Rouhani, reportedly telephoned the Nigerian President Muhammadu Buhari, to express his dissatisfaction about the incident. Meanwhile, in a latest development, Amnesty International has said there is enough evidence pointing to the Nigerian army massacring members of the IMN, and secretly buried them in a mass grave. The rights group has put the number of dead at 347. Amnesty International said the mass grave should be protected, so that a thorough forensic investigation could be carried out. The rights group also expressed its shock at the total disregard for human lives by the Nigerian military. Local observers have said the action of the military on the IMN has further exacerbated the volatile security situation in the country. Already, the country is battling Boko Haram insurgency, which is threatening to divide the country.